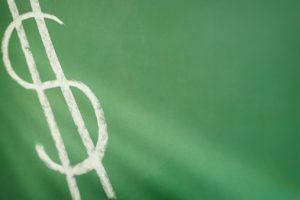 April is Financial Literacy Month—it’s a great time for kids and adults to learn and practice good financial habits, and it’s also a prime time for teachers to incorporate aspects of financial literacy into the school day. Many states and districts have developed and adopted financial literacy standards. and if you’re in a school that hasn’t adopted other standards, the national Jump$tart Coalition for Personal Financial Literacy offers National Standards in K-12 Personal Finance Education. The Jump$tart standards were designed to guide classroom education, extra-curricular learning, and the development of financial education programs, materials, and tools. They include six major categories (Spending and Saving, Credit and Debt, Employment and Income, Investing, Risk Management and Insurance, and Financial Decision Making) but this blog post focuses on the Employment and Income component. What’s included in the Employment and Income component of Financial Literacy Standards? The overall competency of this category is that students can “use a career plan to develop personal income potential.” Jump$tart further breaks that down into knowledge statements for different age groups. People can earn income in the form of wages, salaries and tips. Workers can improve their ability to earn income by gaining new knowledge, skills and experiences. Generally, people earn higher incomes with higher levels of education, training and experience. Early planning can provide more options to pay for post-secondary training and education. Choices people make about their education and skill development can affect their future earning capability and job satisfaction. The wages or salaries paid for a given job depend on a worker’s skills, education and the supply of and demand for qualified workers. What are some resources to help teach the Employment and Income component? Have students take the quick, 30-question Interest Assessment to find careers that match their interests. Ask them to learn about different education options. Have them set long-term career goals.